I was doing some research online today on various oil painting whites and came across a fantastic video of a person making genuine flake white, using a traditional method. This is the real deal, using the Dutch Stack Process to create lead carbonate on coils of lead. Don't worry if you don't know what that is since his video will fully demonstrate it. The last time there was any mass production of this kind of flake white for the artist was back in 1938, in a little town called Cremnitz, but that village was absorbed into Germany's WWII Nazi expansion and did not survive the aftermath. So now when you see a tube of lead white in the art store labeled 'Cremnitz White', or 'Kremnitz', or 'Kremser' or even 'Flake White', you know it isn't what it claims to be, but instead is likely a marketing name the manufacture has applied to evoke a nostalgic feeling. The thing is, the stack process is the only way I know of that can produce the flake white used by the old masters, a white that is a joy to paint with when you try it. FW is the champagne of whites – the Air Jordan, Rolls-Royce, Black Sea Caviar of whites – and its handling properties are unique and utterly unreproducible in any other way. No modern method I know of can match it. Don't even think about suggesting titanium or zinc here. I don't know why it is happening yet but I am working on it. If you want to watch the video click here. Great video, and thanks for sharing! If only the Old Masters had the technology to post YouTube videos like this! omg Had no idea what it took....completely mesmerizing and the music is great too. thanks for posting this.I use several of the Rublev lead whites. Havent tried the stack process one. Are you going to try this? Colleen, I would like to try making this someday but currently do not have the time or facilities to do it in a safe and responsible manner. In fact, I winced when I saw the guy rinsing the lead multiple times and letting the waste water go down the drain. I can only hope that he is collecting it. In fact, I am going to simple believe that he is, if only to make myself feel better. Hey there, Sergio. How are you doing down there in CA? Yes, I have heard of RGH and have even used their lead white paint on occasion. And, like the rest of their paint it is a fine option for the oil painter. But unless RGH has started making their own lead pigment using the stack process it ain't flake white. Again, the term flake comes from the size, shape and method of production, which this video demonstrates fully. In contrast, most artist's paint manufacturers source their pigments/colorants from industrial chemical companies because they are not able to produce it themselves inhouse and remain economically viable. (With few exceptions.) So all those colors we paint with come from the industrial world, and we artists are bit players in that market. Even so, the lead white still commonly manufactured today differs radically from the flake white of the past. The particles are smaller, more rounded in shape, and certainly more uniform in size. Precisely the things which impact the handling properties and makes it different from the old school lead white. There is more to this than I describe, but that is a decent summary. And if I am wrong, and RGH is producing their Flake White in house do let me know. I'd love to hear it. 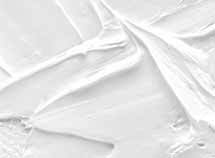 The consistency and transparency of flake white is unique and inimitable, but make sure you always wear gloves when using it, especially with solvents or turpentine. I've used the RGH and can attest to the quality. Utrecht also still makes it. I've used LW for over 30 years without gloves and it has yet to show up in any blood test I have taken for heavy metals. When you buy it in the tube it is reasonable safe to use. So as long as you don't sand your painting, or eat with paint on your hands, or brush your teeth with it, you should be fine. And Revilo, I appreciate your comment but want to distinguish between marketing or shelf names of a paint and the real components involved. As I said, RGH makes a good paint, and Utrect is one LW I use on a regular basis, but neither are real Flake Whites nor they do not exhibit the thixotropic properties the real deal can offer. Not to belabor the point but I've read that turpentine can act as a transport medium through the skin and can carry the heavy metals with it. Maybe bull...but probably wise to protect if in doubt. Ronald, I have heard similar claims but not seen convincing evidence that supports it. Besides, if one is worried about the safety of the materials they work with (and who shouldn't be?) then turpentine is the first thing to go. That we have plenty of information about. I don't even paint with a lot of Odorless Mineral Spirits anymore, though largely more out of consideration for my paint film than anything else. Wonderful. I watched in amazement. Thank you for sharing this.